Suitable for low-pressure steam and water service, the Series N360/N360I brass vacuum-relief valves feature a low-profile all-brass body design. 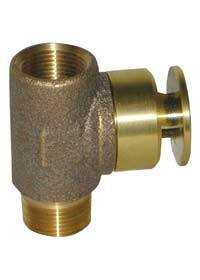 Users can mount the valves in a vertical or horizontal position. Users can install them on domestic water heaters and supply tanks, table-top heaters, jacketed steam kettles, unit heaters, low-pressure steam systems, and steam-coil heaters to prevent vacuum conditions that could siphon the water from the system, resulting in collapse of tank or water heater or equipment burnout.